I’ve been conducting this one particular activity with my students for Halloween for the past several years and it always seems to go over well. It combines the music of J.S. Bach and the poetic form of Da Da. First, we listen to the music of Bach. I choose his Toccata and Fugue in d minor which, of course, brings up images of Halloween. In fact, it is one of those pieces that may never gain it’s own identity for the music itself. It has been branded as “scary music” for generations. Alas, it’s the perfect seasonal piece to share. I do so for the days prior to Halloween, allowing my students to actively listen to the piece (usually just the toccata for time’s sake). During these listening times, we listen for instrumentation, tempo and pitch changes, dynamics and visualizations. If you only have your students for a class period, consider listening to and discussing the toccata a couple of times before introducing the following activity. At this point, you can pause and discuss the words students have written. You can have them work with the words by putting them in piles according to parts of speech or create prepositional phrases. This is when you can integrate a little literacy work into this activity. From this pile of words, students can take a small handful (about 14 or so) and begin to arrange the words into a DADA poem. They can omit some words or add a word in here or there where needed. DADA poetry was first written by artists and poets in Paris France. They clipped words from newspapers, scrambled them and then arranged them in lines to form nonsense poems. Here, the students form this type of poetry from words they thought of while listening to the Toccata and Fugue in d minor. It becomes an abstract poem of the music. To publish the poem, students must glue the words onto a piece of construction paper and then they can decorate their poem as well. They may also choose to rewrite the words they have used. 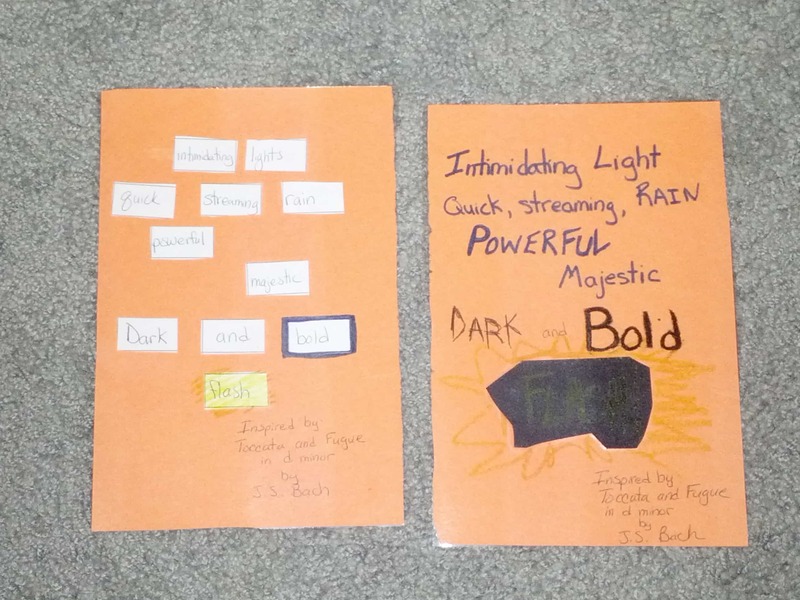 Here is a side by side comparison of the DADA poetry done both ways. I always make sure the students’ final works include a tag “Inspired by Toccata and Fugue in d minor by J.S. Bach. In the past, I had students write this themselves, but recently I have made the option to use a ready-made (by me) printed label. Students love this activity and using DADA poetry is a great way to take the intimidation of poetry out of the picture. All the while you are listening and learning about a great piece of music. I hope you get the opportunity to use this activity. If so, please let us know how it goes. 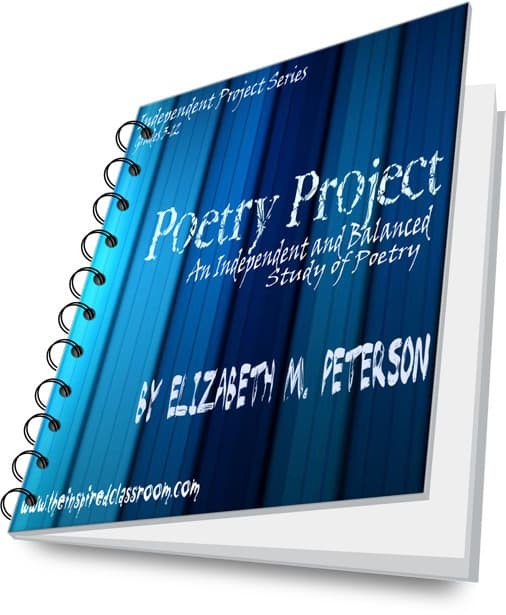 Maybe you can even share a poem or two!